It seemed to me about two weeks before duck season ended, the birds stopped coming into the decoys. It didn’t help that most of the flats had thousands of redheads on them. Kind of hard to compete with thousands of live ducks. For the fishermen/outdoorsmen this means just a change of game plan. With unusally warm weather and water, Adam and I decided to run up to the Neuces River outside of Mathis for some gar. I have had a lot of luck in the past at this spot, I don’t think I have ever been skunked here. 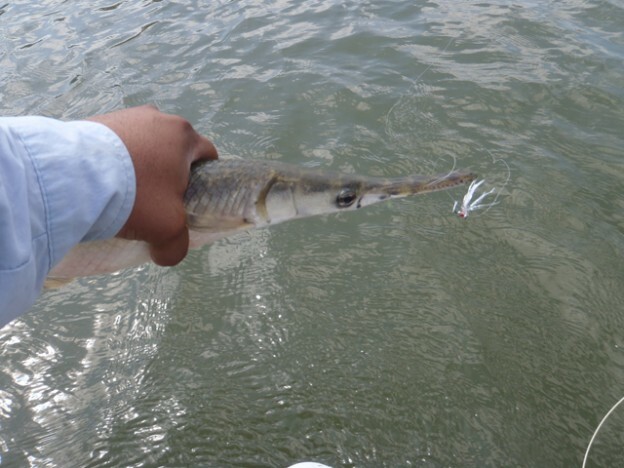 Fishing for gar is a lot like fishing for tarpon. It requires a lot of patience and willingness to hook up on multiple fish, but only catch a few. Like tarpon, gar have have incredibly hard mouths. Unlike tarpon, they also have a mouth full of sharp teeth. 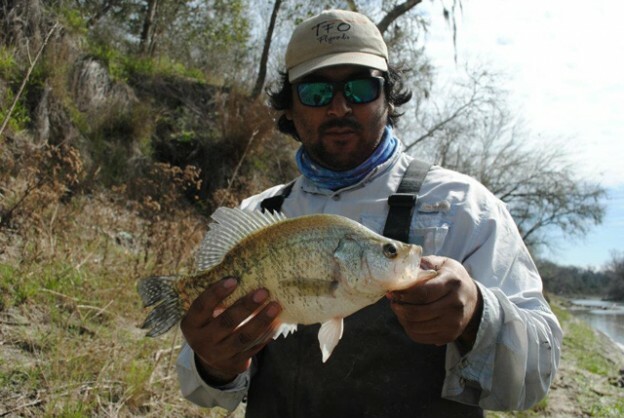 Between the the teeth and hard mouth, getting a good hookset is tough, and even if you do get a good hookset, there is no telling if the fish’s mouth or teeth will still cut your line. Another good thing about gar fishing is you can sleep in late because they like the water warm. The longer the sun has been out, the more active the fish will be. 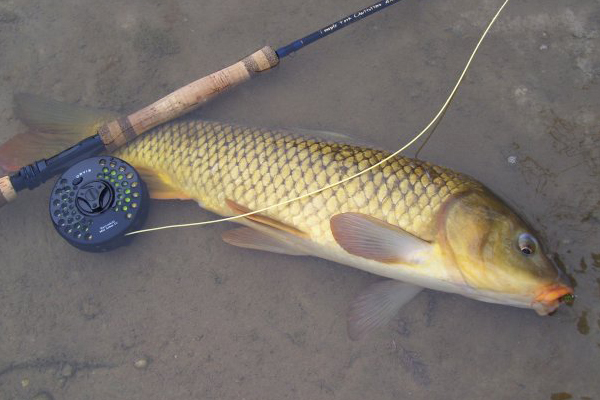 This is my second carp caught on the fly. I was walking to another area, looked down and saw him tailing in about five feet of water. I made a cast, let the fly sink, he shrugged and made his way toward the fly, I guessed and set the hook. Fish on. This was my first carp caught on the fly. Same trip to the Medina River. We walked over a hill and could see him cruising. I made a perfect cast, stripped twice, saw his lips extend, set the hook and all hell broke loose. I fought him around a pool for a few minutes.